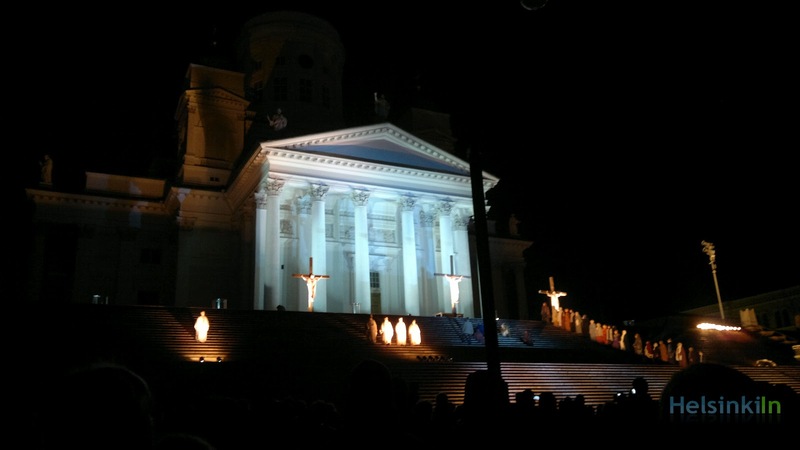 As every year also this Good Friday the crucifixion of Christ is reenacted in Helsinki. At 9 p.m. after the sun has set a procession of people in ancient robes heads towards the steps of Tuomiokirkko on Senaatintori. Illuminated by torches the trial, the walk to Mount Golgotha and the crucifixion is shown while a narrator reads out the story from the bible. 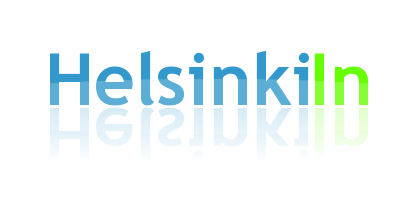 The narration and the play are in Finnish. But even if you don’t understand it is worth going there and watching. The big white Tuomiokikko as a setting makes the performance something special.